If you have any problems or questions regarding booking your accommodation with us please email us at eva@thegarden.hr and we'll get all sorted for you. Maximum number of people per Belletent Trio is 3. Please book another one if more people are coming with you. If booked less than 8 weeks before the arrival 100% of the payment is required. If booked more than 8 weeks before the arrival 50% deposit is required and the balance payment is not due until 8 weeks prior to arrival. Our belletents offer a cosy yet spacious living & sleeping space to provide accommodation for up to 3 people. The center of the tents is 3 meters high and have 5 m diameter. Comfortable mattresses on a wooden bed frame are standard, with bed linen & towels provided. 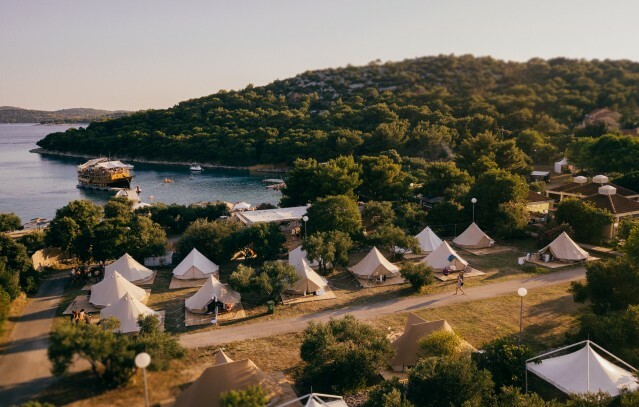 All tents are hooked up to electricity and have bed side table lamps, an overhead central light & plug sockets, but do remember to bring plug adaptors if needed. Belletents have windows with integrated mosquito nets and the side parallel can be rolled up to create an open air lounge area under the canvas. 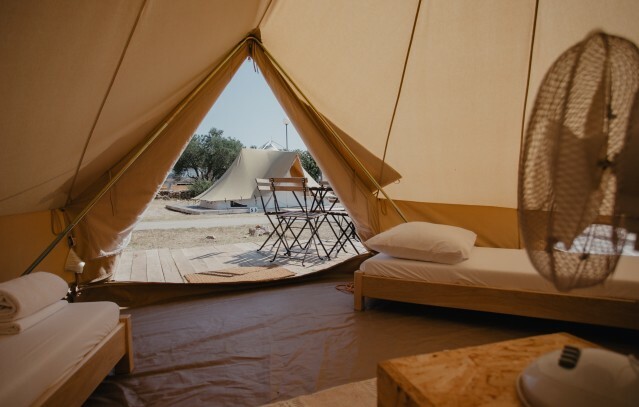 All tents are pitched above a wooden terrace which extends to an outdoor area with tables and chairs. 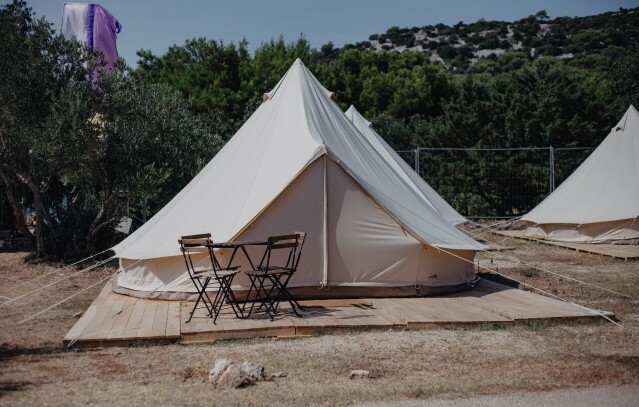 Tents have a main padlock but we recommend that very valuable items are secured in lockers which are available for rent at the main reception area and at the camp reception. The shower & WC block is open 24/7 for camp guests and is separate for girls 6 boys. Please do bring your beach towel.